Getting through the cold winter blues means one thing for many fashionistas and that is looking ahead to warmer weather. No better time like the present to begin pondering on what is ‘trending’ for spring/summer 2015. Today we are going to talk a bit about a hot trend in fashion and that is the jumpsuit. The runway was full of an array of jumpsuit styles from casual chic to sophisticated. 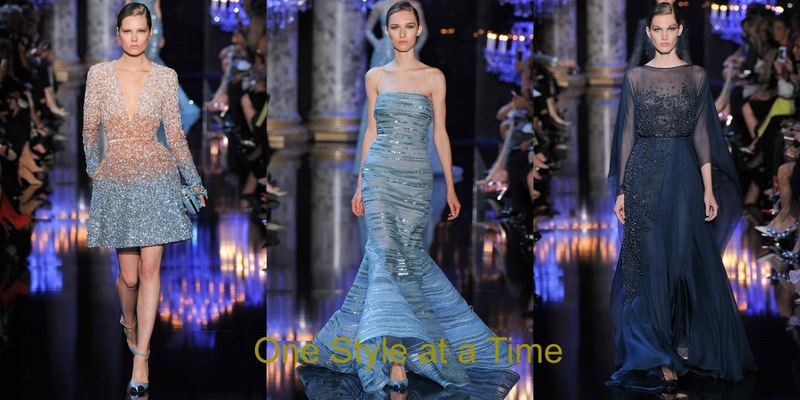 Some of the biggest names in fashion like Elie Saab, Escada, Stella McCartney and Pamella Roland gave us some incredible options to take note of in their shows. If you recall from our last post the Golden Globes best dressed, Emma Post made heads turn in her elegant Lanvin jumpsuit and was a fashion fan favorite. Now let’s be honest at first jumpsuits may not seem like a perfect fit for everyone. I will be the first to admit that if you are not tall and lean it may not seem like a feasible task. However, after doing the legwork, research and purchasing my first jumpsuit I have found there are more options than in years past. Considering the cut, fabric and volume of the jumpsuit are some key components. Do you prefer a tapered or flared leg? Sleevless, cap or long sleeve? Once you find a jumpsuit that suits your body type the next important thing is finding a tailor to make the right adjustments, if necessary. Make that your canvas and now you can begin styling your jumpsuit with the right accessory (we say go for the gold). Dresses are always fabulous but what better way to switch up your style than with the right pantsuit that makes a statement. OK! Now get ready, scroll below and you will find some jumpsuits from the spring runways, how celebs are wearing them today and different style options to consider (the last look is one that I personally own – Laundry by Shelli Segal). So we ask our One Style at a Time readers how do you feel about the jumpsuit trend? Is this a yay or nay in your fashion book? Come back next Monday as we bring you more style and trends alerts you won’t want to miss. Hope you are enjoying the new blog design fashion dolls. 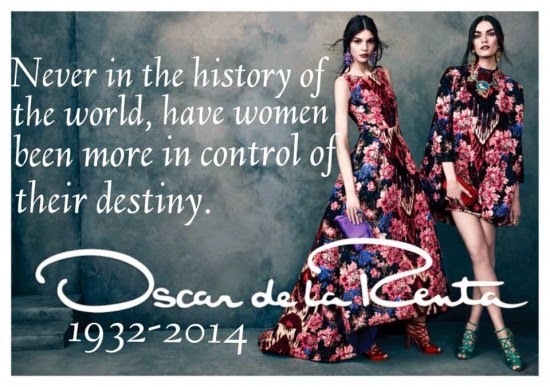 Óscar Arístides Renta Fiallo best known to us as the great fashion designer Oscar de la Renta passed away on October 20, 2014 and was laid to rest today in New York. If you have been a long or even short time follower of this blog you might know by now that Oscar and his work were a topic of great admiration for One Style at a Time. Today I am back after a few weeks hiatus after the loss of my beloved father to pay tribute to another man who in fashion left a big mark. Impossible to describe the genius talent of this master of design in just a few words. How do you describe his impeccable artistry? The best way would be to remember him through his magnificent work. Oscar de la Renta was a proud designer from Dominican Republic and his Latin roots, love for color and nature many times were sources of inspiration for his clothes. Since his passing on October 20th, there have been numerous articles written about his five decades of work and his impact in the world of fashion. His stomping grounds began in Madrid, Spain as he closely worked with designers like Cristobal Balenciaga and Lanvin-Castillo. There is no denying that the Spanish influence was still a part of his designs today. Through the years he has provided countless show stopping gowns for some of the most important women around the world. First ladies and A-list celebrities wore some of his most unforgettable pieces. To name just a few; Jackie Kennedy, Michelle Obama, Hillary Clinton, Laura Bush, Sarah Jessica Parker, Oprah Winfrey, Tina Fey, Amy Adams, Cameron Diaz and the list goes on and on. His most recent headline was dressing George Clooney’s bride to be Amal Alamuddin for their nuptials. What made him and his gowns so special and desirable? Pure elegance! He understood what women wanted to wear and he enjoyed dressing powerful women. No one understood the term ‘femininity’ better than Oscar. He never dissapointed season after season on and off the runway. Personally, the loss of this legendary designer is significant. As long as I can remember and have had a love for fashion he has always been someone I highly respected. His global success was admirable but being Latina and hearing him speak about his Latin roots and culture with so much joy evoked such a high sense of pride. I was elated when in 2011 I had the honor of meeting him, conversing and hearing him sing to SJP at the Fashion Night Out event at his flagship store on Madison Avenue. Click here to relive the event. I left that evening with my own impression of Oscar. He was a man who was poised, elegant, a magnificent dresser but also kind and very approachable. In a room where friends like Barbara Walters stopped in, he was just as charismatic to the celebrities as he was to his fans and greeted everyone in the room with a handshake. So many have asked me what I think is Oscar’s legacy. I believe its the timeless elegance and beauty in fashion. He brought the fantasy to life through his masterpieces. Every season during New York Fashion Week his show was on my ‘must see’ list. Watching him give his final bow at the end of each presentation was always a thrill after he had presented so many gems on the runway. Needless to say there will be a huge void going forward during fashion week. The house of De la Renta opens up a new chapter with their new creative director Peter Copping formerly of Nina Ricci. On behalf of One Style at a Time we send our sincerest condolences to Oscar’s family, friends and staff members. Oscar you will be missed and remembered. Thank you for all your inspirational work and for leaving such a beautiful and glamorous mark in the world. RIP. Cynthia Rowley launched her first fashion collection in the early 1980’s and since then has established her brand as one of the top names in American Fashion. Her brand has expanded throughout the years and not only does it include apparel for women and men but also shoes, handbags, eyewear and most recently a fitness line. She wears many hats as a Fashion Designer, wife and mother and balancing it all is no easy task. In Cynthia’s latest interview with HuffPost Live she talks about fashion today, her brand, family and how to thrive and live life to the fullest. 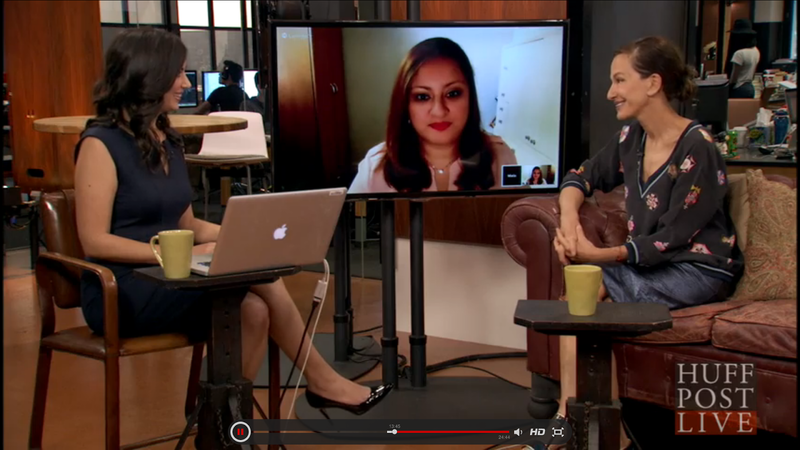 It was an honor and pleasure to join the conversation with HuffPost Live and Cynthia Rowley as a fashion guest panelist on this occasion. Check out the interview below! 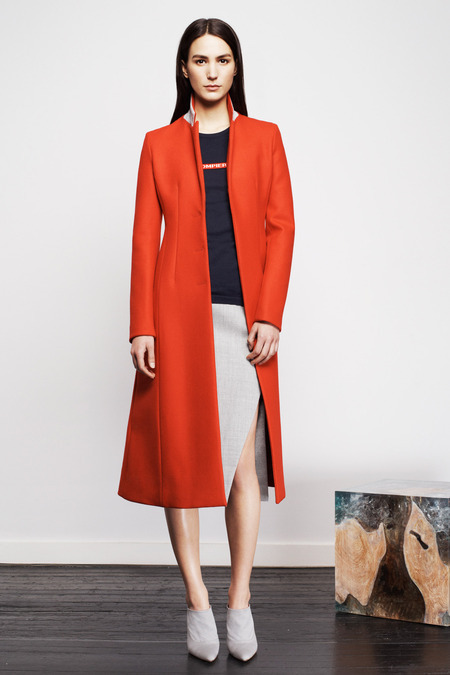 It is no surprise that color is a key component when it comes to fashion. It can direct an entire collection, it can determine the vibe of a look and can impact a shopping decision instantly. Every year there seems to be a color that stands out from the rest and grabs our attention, depending on a season of course. According to the folks at Pantone the color for 2014 was ‘Radiant Orchid’, but it seems orange has made a stern impact for many Designers and Fashionistas. If you are a Netflix watcher than the title “Orange is the New Black” may sound familiar? That’s because its one of the most popular comedy series and recent nine time Emmy nominee. 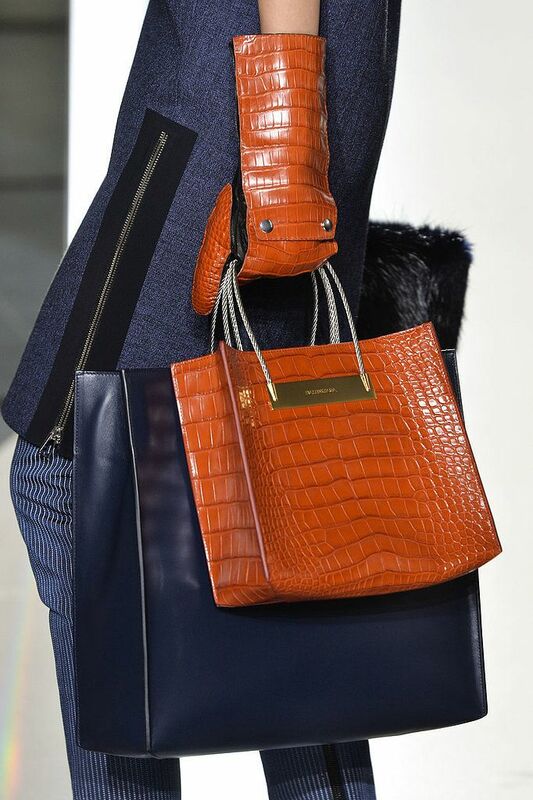 So from television to the runway orange made a strong presence not only for Spring but also for Fall 2014. 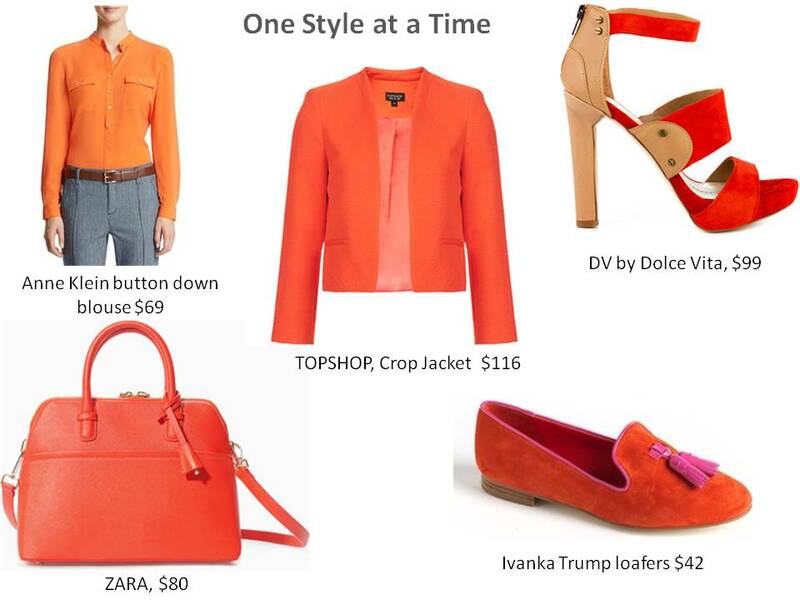 Designers such as Carolina Herrera, Prabal Gurung, Altuzarra, Missoni and Zac Posen were just a few to show a splash of citrus to enhance the basic dark palettes for this coming season. So don’t shy away from brightening your cooler days of fall and winter. So One Style at a Time readers, tell us if this color is a thumbs up or thumbs down for you. 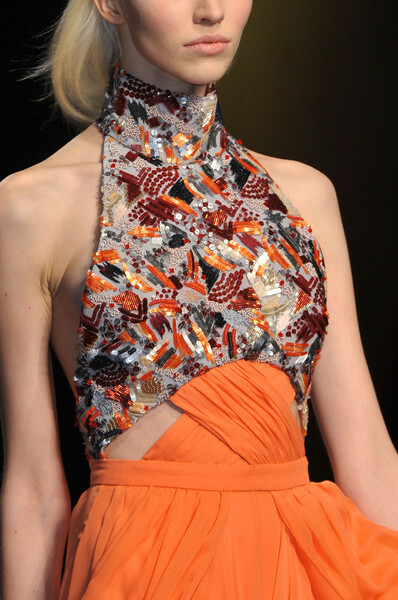 Scroll below and share your thoughts on this hot fall trend! What is fashion if you don’t have a little high end spectacular Haute Couture? While everyone in the states were looking to cool down a bit and hit the beaches, rainy Paris was hot and steamy on the runway. There was definitely no shortage of sheer, color, sparkle and over the top sexiness. The collections of these hand made pieces blew us away and many possible contenders for A-list celebrities. Surely many Hollywood stylists have snatched some of their favorites for their top notch clients. Chanel and Dior are usually crowd pleasers but this time around we are going to highlight a few collections that stood out. 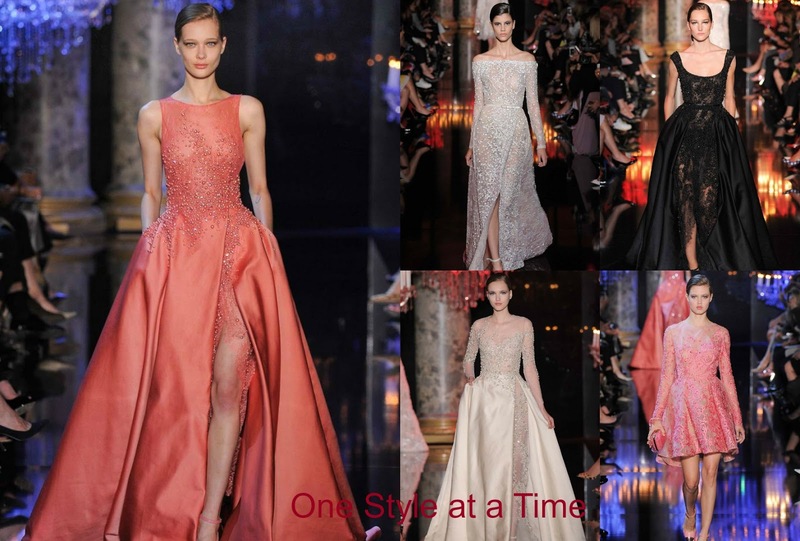 It was quite a difficult task to just pick a few gowns but we didn’t want to overwhelm you with ‘too much’ couture. Right. 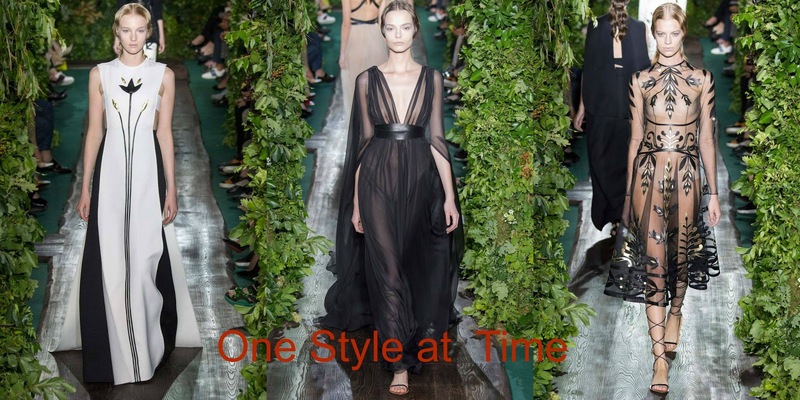 So Fashionistas get ready, One Style at a Time brings you Zuhair Murad, Alexandre Vauthier, Valentino, Atelier Versace and the every time knocks it out of the park, Elie Saab. Leave us your comments and tell us which collection deserves a big STAR! Did we miss anyone from your favorites list?